For the second time in recent years, our country has a historic opportunity to see another defender of the Constitution appointed to the Supreme Court. 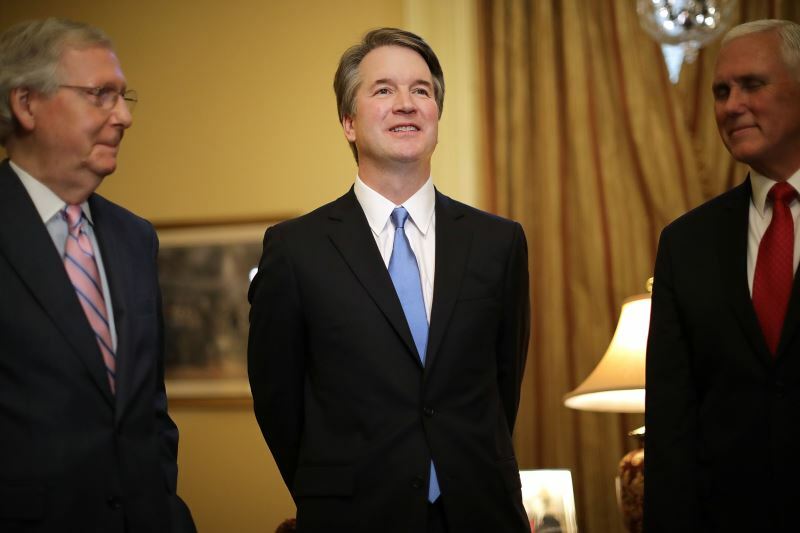 Judge Brett Kavanaugh, President Trump’s pick to fill the Supreme Court vacancy, is a respected judge, dedicated to protecting the Constitution and the rule of law. The 53-year-old has served on the U.S. Court of Appeals for the D.C. Circuit since 2006, when he was nominated by President George W. Bush and confirmed by the Senate with bi-partisan support. In that time, Kavanaugh has been a firm defender of the separation of powers and judicial restraint. Judge Kavanaugh is extremely well-qualified and should be confirmed as soon as possible. Defending the Constitution and the rule of law. Interpreting the law as it is written. Not legislating from the bench. Throughout his distinguished career, Judge Brett Kavanaugh has shown a strong dedication to these principles, and has proved he will uphold them. Judge Kavanaugh has proven his dedication to the Constitution and the rule of law and will not bring a political agenda to the Court. With one click, send a letter to your senators, urging them to confirm Judge Kavanaugh.